This name stands for power, emotion, and the courage to be yourself. All in the vein of the "old Gods", 4 young Germans started a blistering Heavy Metal journey and found alot of followers and fans in a rather short time by their musical skills as well as their great stage performance. 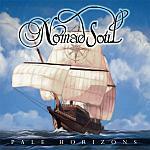 To spread the word, their first album is going to be released very soon, called Pale Horizons.